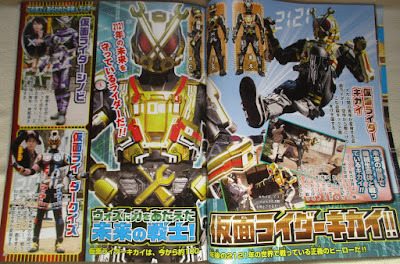 Kamen Rider ZI-O - The Rider From the Far Future & White Woz's New Target: Kamen Rider Kikai! 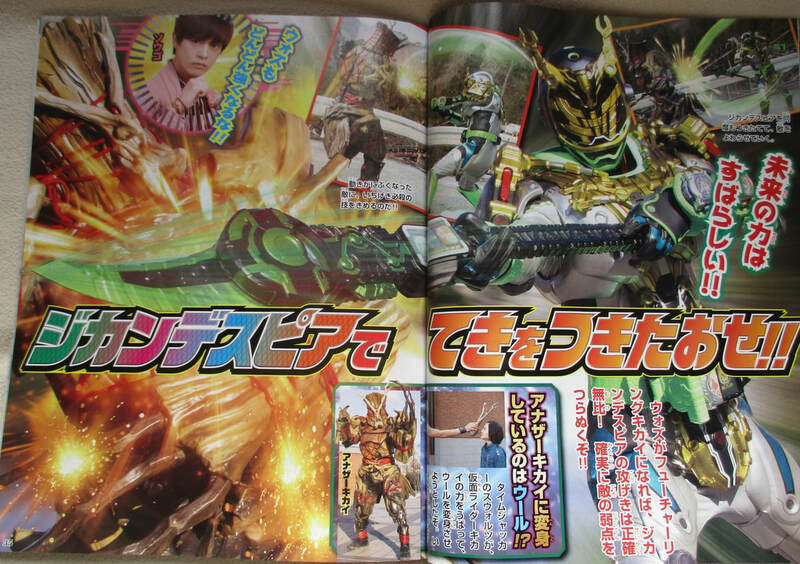 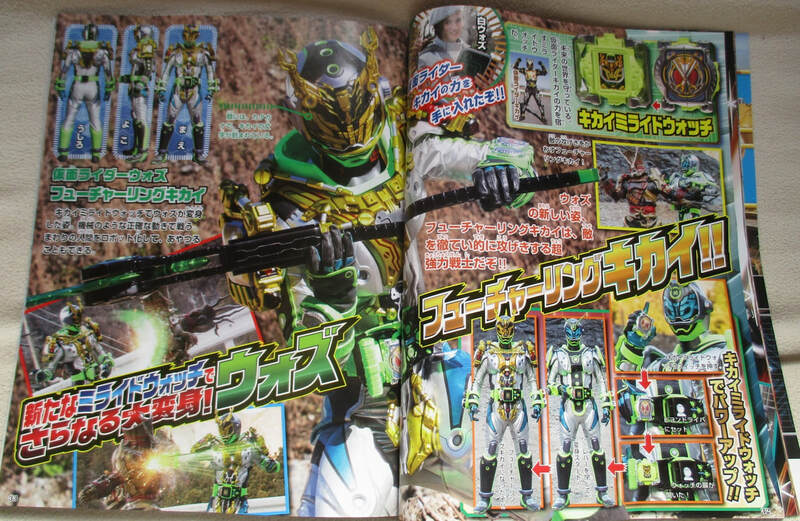 Besides Kamen Rider ZI-O acquiring an all new power-up this month, a new rider that hails from a very far future will also arrive named Kamen Rider Kikai but is he friend or foe? 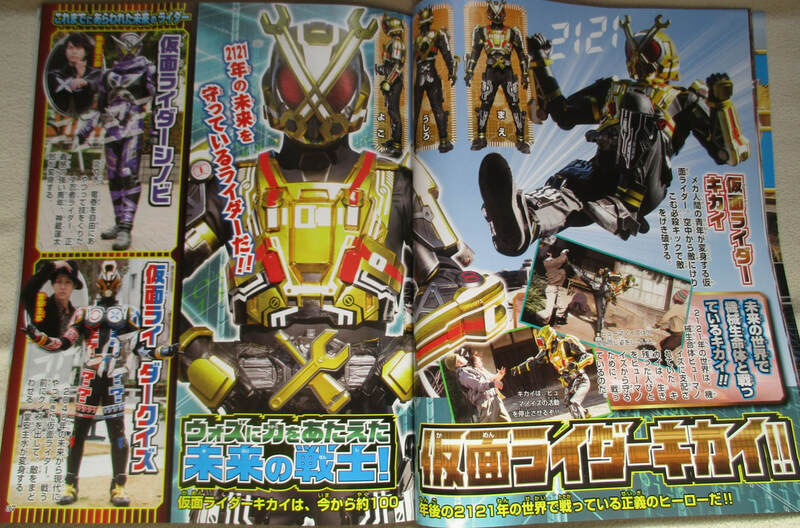 With his identity still unknown, Kamen Rider comes from the year 2121 and instead of another random civilian victim, his deformed counterpart, Another Kikai, Time Jacker will be transformed into this Another Rider! 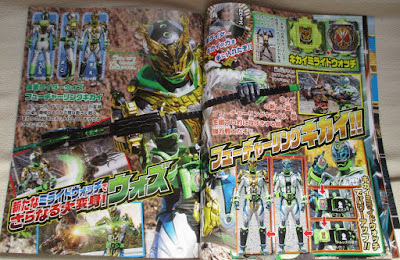 And as usual, this new Future Rider's power will be a target for Kamen Rider Woz, who will use it to his advantage and armor-up into Kamen Rider Woz Futuring Kikai! Will this complete his mission to give his savior, Geiz, the power of Geiz Revive?